A Philadelphia man is facing federal charges after a New York-bound JetSmarter flight had to make an emergency landing in North Platte Regional Airport in Nebraska because he allegedly threatened the flight crew and passengers. Maurice Paola, a 23-year-old DJ from Philly, is accused of arguing with flight attendants shortly after boarding the 12-passenger jet in Las Vegas. 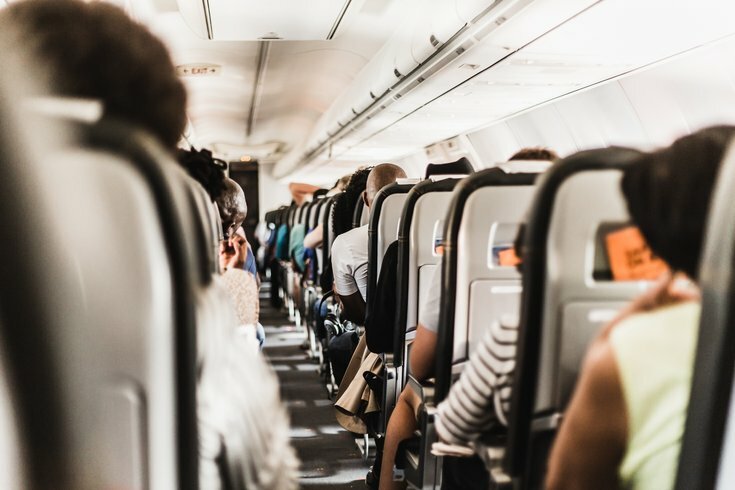 He also allegedly threatened to decapitate other passengers and directly threatened a family with two children, ages 4 and 6, the Lincoln Journal Star reported. Paola also allegedly threw items, banged his head on walls, pounded on windows and insisted the plane land immediately. The pilot attempted to calm down Paola, but retreated to the cockpit when he was unsuccessful. Apparently a flight attendant had to arm herself with an oxygen tank. When the plane landed, Lincoln County sheriff's deputies and North Platte police in Nebraska boarded the jet, where Paola remained agitated and standing between four passengers. He was subdued with a Taser and eventually charged with making terroristic threats and resisting arrest, which have since been dismissed. Federal prosecutors charged Paola with interference with flight crew members and attendants. He faces up to 20 years if convicted. Page Six first reported that his tweets, under the handle @iampaolamusic, may have pointed toward a potential problem. According to the Lincoln Journal Star, Paola has been detained by the U.S. Marshals Service and faces a hearing next week.